Finally tonight, my favourite pattern, got to be a good floral! Love floral patterns and my collection of MoYou plates left me with plenty to choose from. I decided as the last two posts were both the same base colour of pink, I would stick to the indigo but this time in it's glorious gloss finish. Love this shade! I paired it with a lovely bold floral print in gold. Bold Gold lol! Barry M - Indigo, Gold Foil, MoYou Princess Collection 13. I started with two coats of the indigo and followed that up with two coats of this ever so pretty flakie. When that was thoroughly dry I did two coats of the matte topcoat in pretty quick succession. Finally I added the gloss black tips just using the bottle brush. First time I've used this new Barry M flakie and I just love it, can't wait to try it out over some other colours! 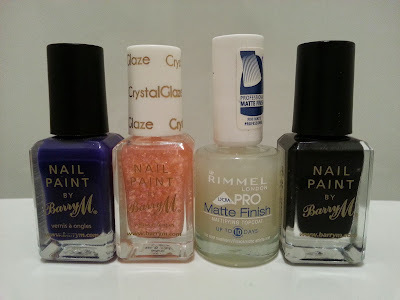 Barry M - Indigo, Crystal Glaze, Rimmel - Matte Topcoat, Barry M - Black. ...And here was my inspiration, shared on Pinterest via stylecraze.com :) I did have a redish flakie but thought I'd go for the more pearly colours for mine! Second up and on time, my lines manicure. 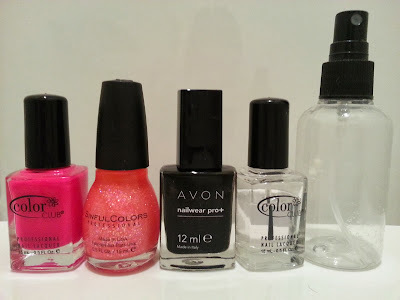 You might be able to tell from my last couple of posts that I'm in a pink phase lol! So this was a mix of the same bright pink used in the other of tonight's mani, but this time with the lovely texture of the OPI liquid sands and some bold striping. Really pleased with the colour combination and I love using striping tape, whether in this way or as an actual decoration in itself; it's so versataille and cheap!! ;) I usually find mine on ebay in big bundles! I started with two coats of the bright pink and left to dry for a good time. 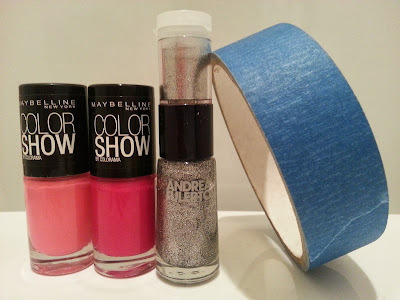 I then placed the striping tape in random directions, but always in three's. Next I did just one quick lick of the liquid sands and immediately took of the tape. That's it! Easy peasy! Really getting use out of this particular OPI polish, love the sort of denim colour and finish. 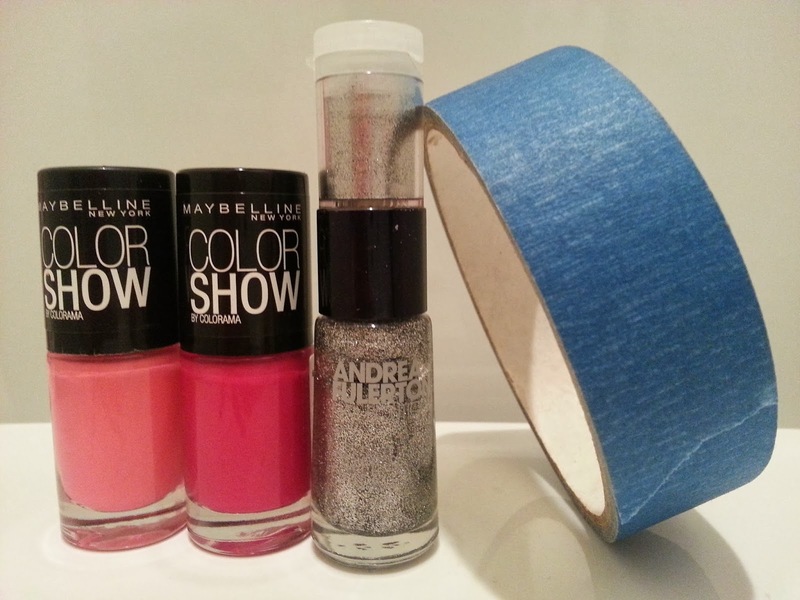 Color Club - Warhol, OPI - Alcatraz Rocks, Striping Tape. Ok so I am a week behind again, just couldn't find my mojo last week and was super stressed with work and my boy heading off on the road again. I cheered myself up with some Christmas shopping though :) Almost done!! Record for me! As I am a week behind, I have decided to post last week's and this week's manicures together on the Mon, Wed and Fri. Awesome solution! So first up tonight is the new technique to you mani; there are not many I haven't tried now but I had a couple in mind and chose to go for the slightly more adventurous water spotted. I am just gonna say now... 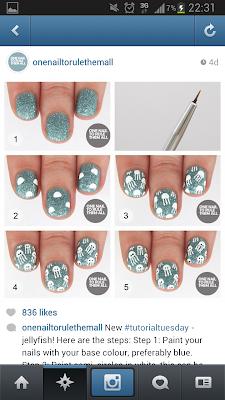 I LOVE this mani lol. 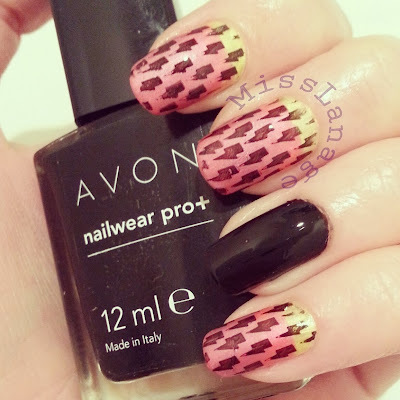 Although the spots stretched to a more marbled look on most of the nails, I just love the result regardless!... And after all, it is the first time I have attempted this ;) What do you think? Have you tried this and have some tips?? 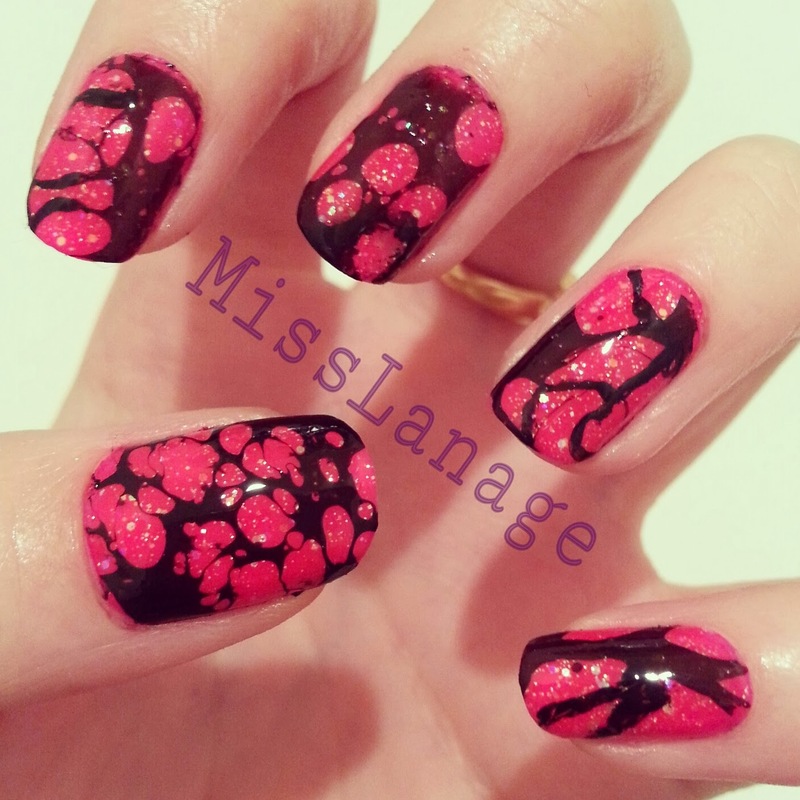 I started with two coats of the bright pink and then added a coat of the pink sparkly. Looked gorgeous just like that I must say! Then I took an old (clean) yoghurt pot and filled with luke warm water. 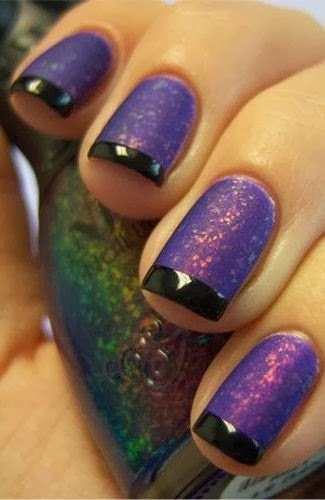 I then put a couple of drops of the black polish into the water and then lightly sprayed a mix of alcohol gel & a few drops of water, from a slight distance, over the water. After which, I dipped in my nails, removed the excess and removed them again. 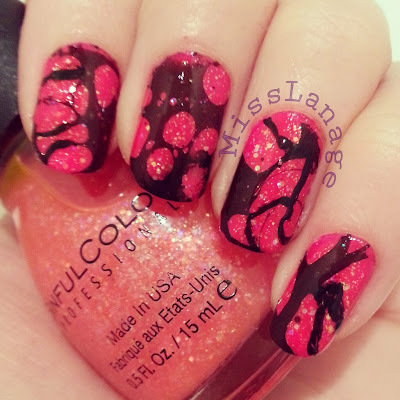 I did the thumb on it's own but did the others two nails at a time; which I think is why the spots spread lol! Finally I topcoated. 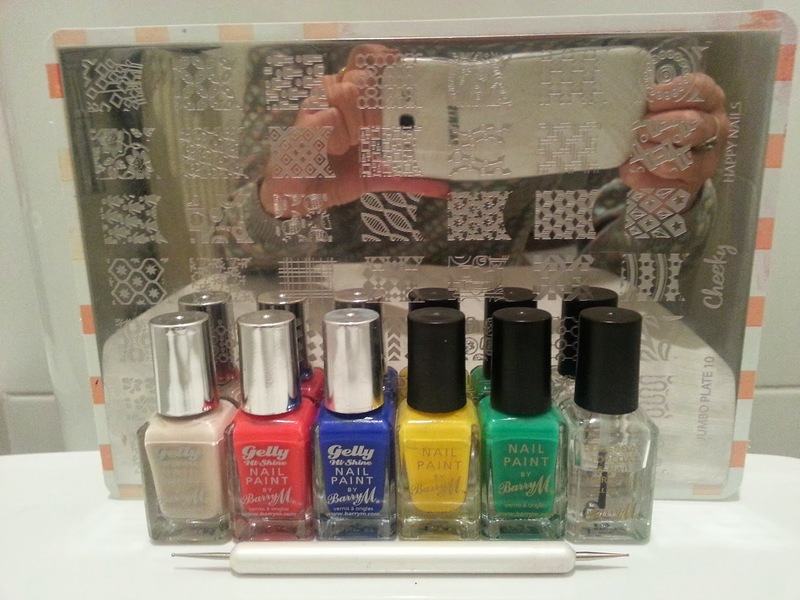 Color Club - Warhol, Sinful Colors - Pinky Glitter, Avon - Licorice, Color Club - 3in1, Alchol Gel/Water Mix. 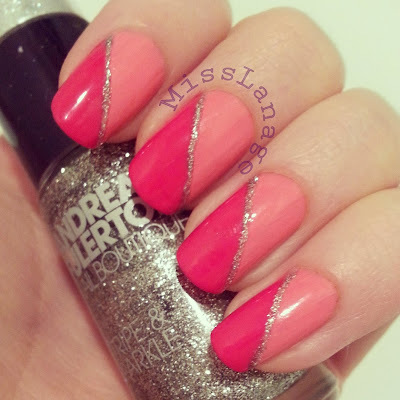 Second up this evening is last Wenesday's Geometric mani... I stuck with the 80's plate for this using the crazy geo-stripe print, but went with a wintery feel when it came to the colours. 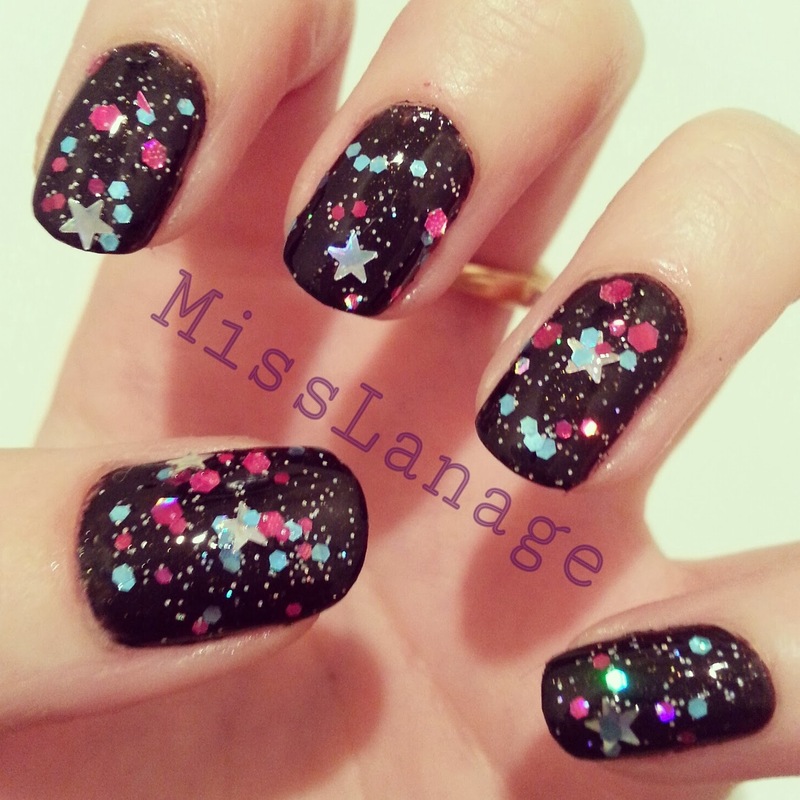 I used some of my most favourite Models Own polishes for this one, they were just the colours I wanted and gave an added sparkle too! 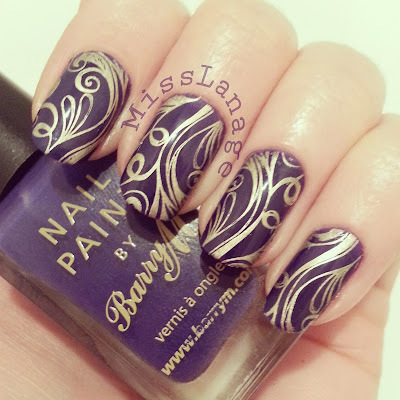 The purple metallic stamps really well, as do all of the Champagne Collection. Loved this mani! 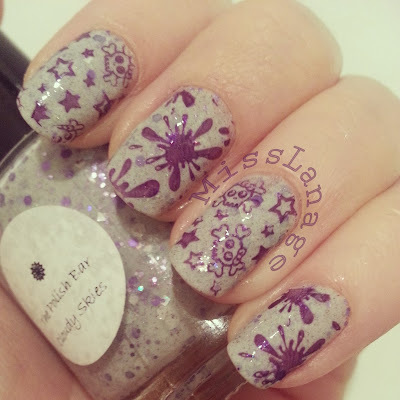 I started with two coats of the grey and then stamped the print randomly in both directions with the metallic purple. 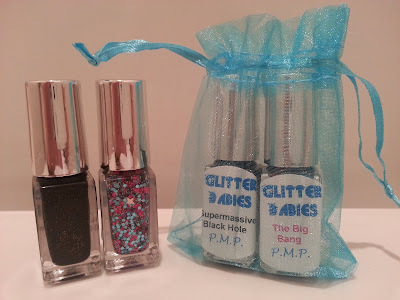 Next I topcoated, and then once dry used a paintbrush to add a bit of sparkle to the ring finger; if in doubt, just add glitter that's my motto! Lol! Real crisp and shiny result, just my thing for a winters day. 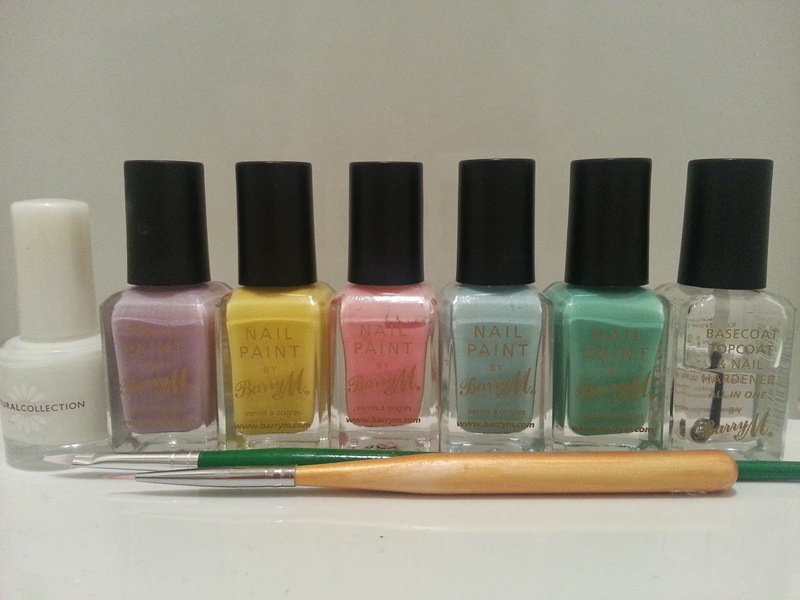 Models Own - Mushroom Grey, Mystic Mauve, Northern Lights, 3in1, MoYou London - Back to the 80's 03. I'm an 80's baby and used my 80's plate for the lightning bolt design so decided to stick with the theme and mix some classic black with a bit of neon! 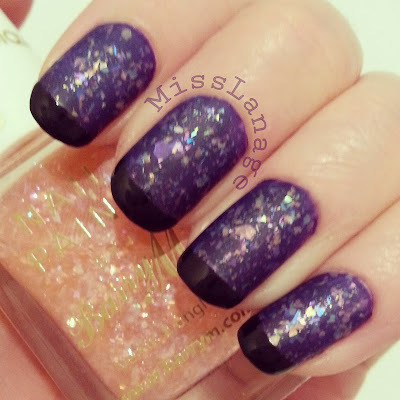 I didn't fancy a sponged look so went for a crisp gradient with clear levels. I started with a base of two coats of the yellow; I then painted two coats of the pink from near the top to tip. 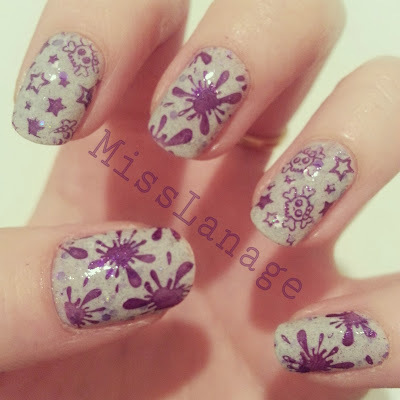 From mid-way down to tip I did two coats of purple but it's sooo hard to make out :( sorry! I then stamped the bolts in black and painted the ring finger in the same polish as an accent. Really liked it until I photographed it lol! Don't forget to check out what the other participants have been up to down below! 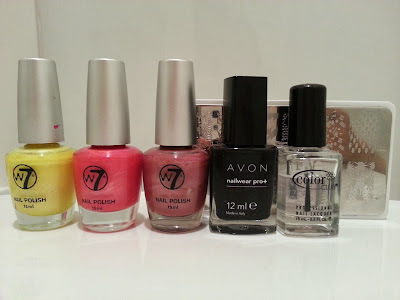 W7 - Pearlescent Neon Yellow, Pink, Purple, Avon - Licorice, Color Club - Topcoat, MoYou London - Back To The 80's 03. Don't think I'll get time to post today's challenge theme tonight, so that will be up tomorrow instead... 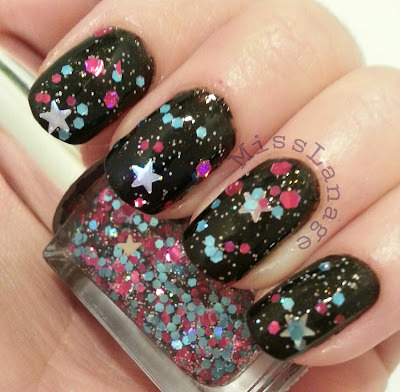 But here is the final catch up post from last week before I head to my lovely bed!... 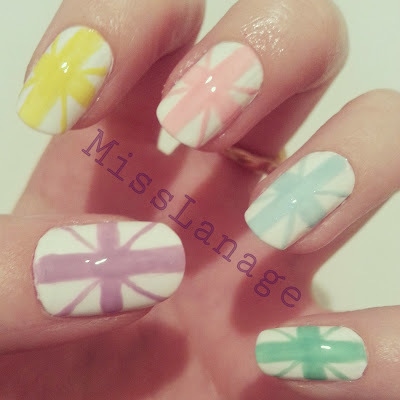 I wasn't really sure what I fancied doing with this theme beforehand but as it was close to Rememberance Sunday I decided to go a little patriotic with a union jack inspired design... And I fancied some pastels... 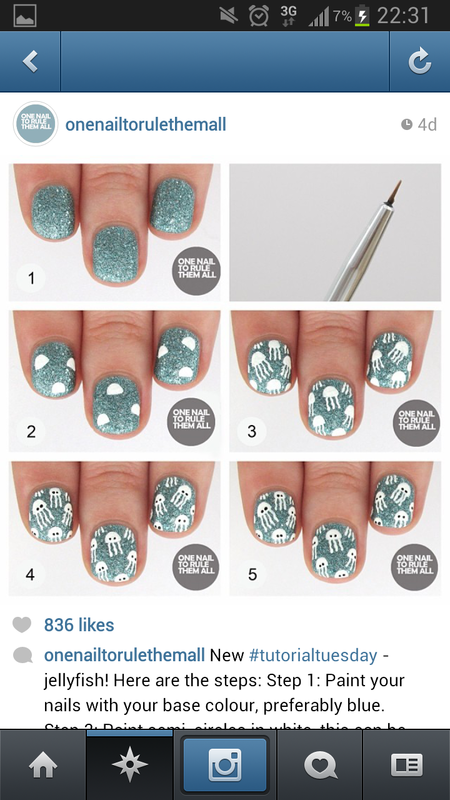 So my simple mani was born lol! I used two coats of the white for the base; then used a small, square paintbrush for the main crosses and a small striper for the smaller, diagonal crosses. 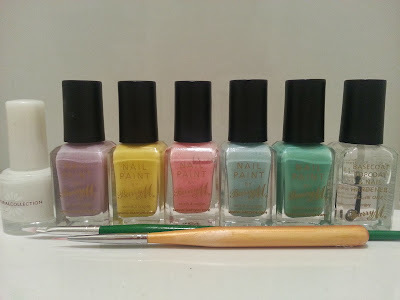 One nail in each pastel shade. 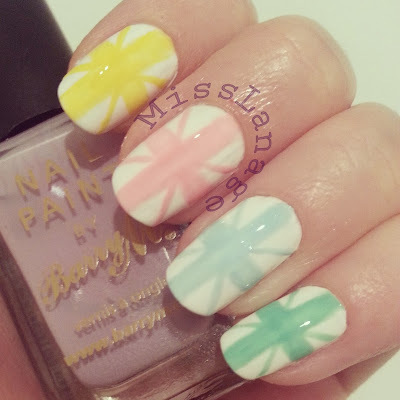 I love white nails so was quite fond of these. Boots Natural Collection - Nail Tip Whitener, Barry M - Berry Icecream, Lemon Sorbet, Strawberry Icecream, Blue Moon, Mint Green, 3in1, Small Square Paintbrush, Small Striper Brush. ...I had soooo many patterns to choose from in my wardrobe and I was just about to settle on a love heart print dress, when I spied my paisley print linen trousers from Spain :) LOVE these pants!!! 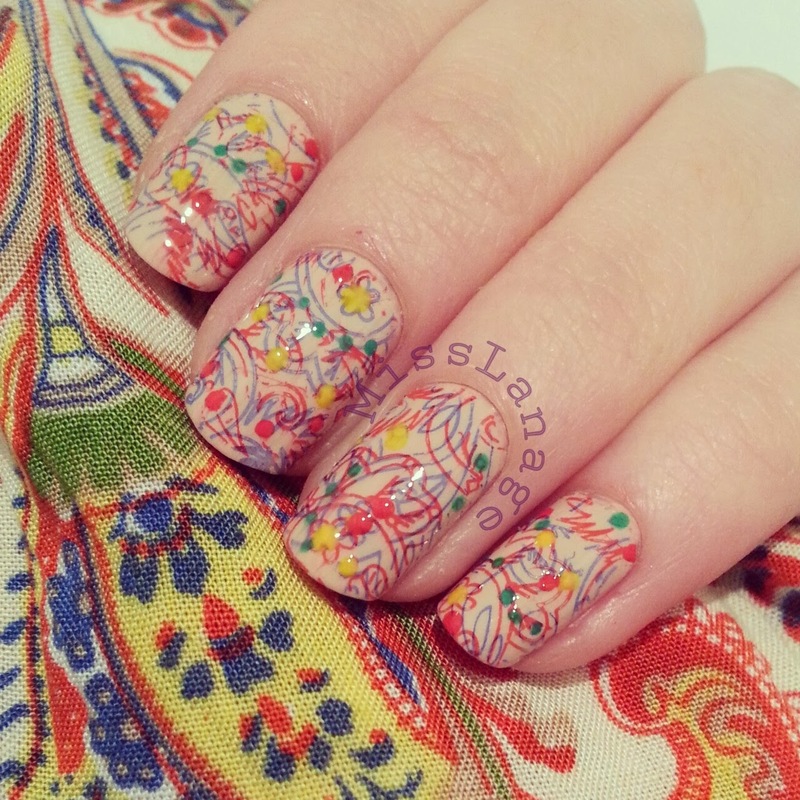 Beige with red, blue, yellow and green paisley pattern print. 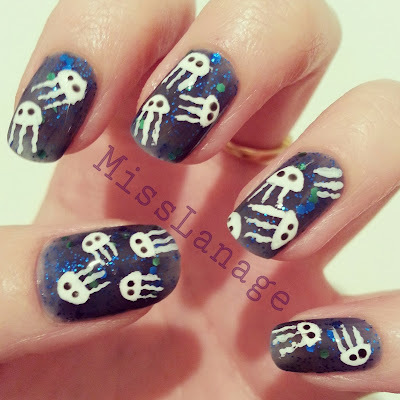 I used a mixture of stamping and dotting to recreate the fabric in a nail design; think they turned out pretty well actually, got heaps of comments from people thinking they were a sticker of some sort which was most flattering! 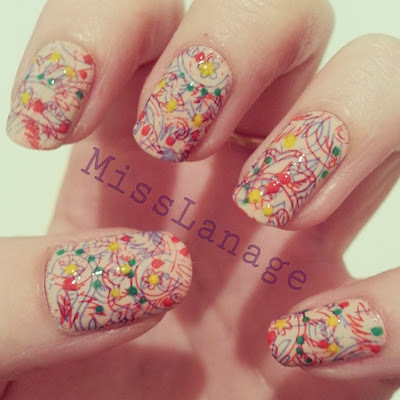 I started with two coats of the beige base; I then stamped a paisley print in random directions, first in red and then in a dark blue. I then added a little more red and introduced the yellow and green elements by placing some dots in any small circular parts in the design. Finally I added a topcoat. A complex design made easy! 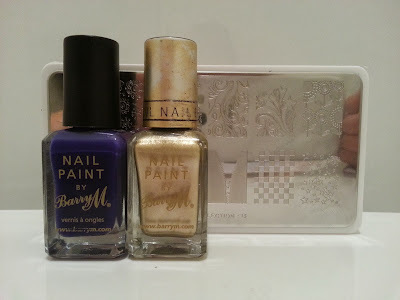 Barry M - Lychee, Passion Fruit, Blue Grape, Yellow, Spring Green, 3in1, Cheeky Jumbo Plate 10, Dotting Tool. 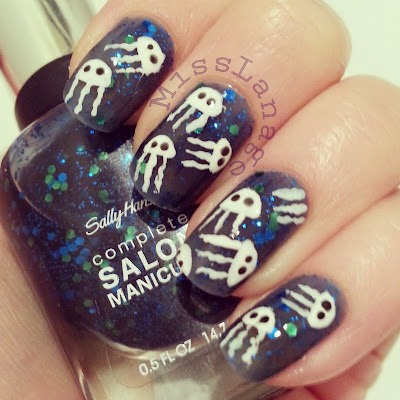 I used three coats of the Sally Hansen to get it fully opaque, you could layer over a blue but I just love the deep blue gelly finish on this polish when used as is. I then painted on the lil jellies with a bright white and dotted on some eyes, real simple but so cute, the lady in the post office loved them! 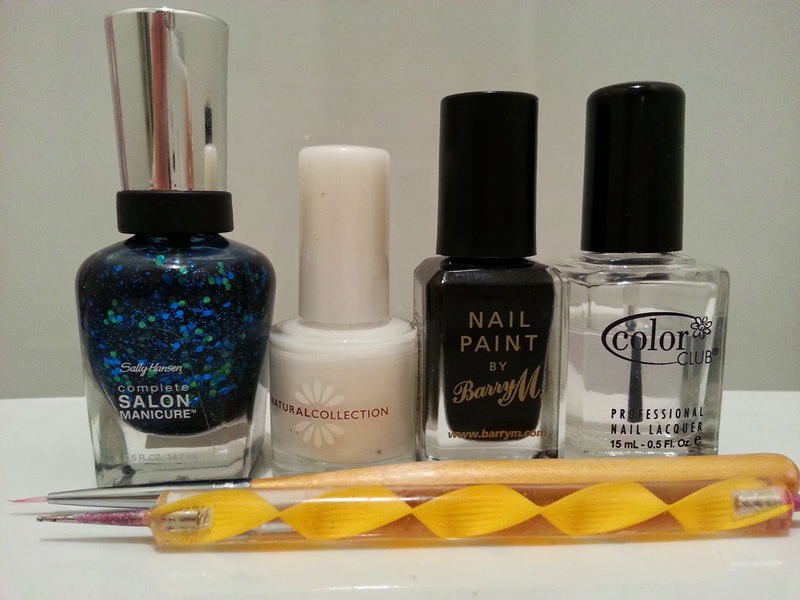 Sally Hansen - Mermaid's Tale, Boots Natural Collection - Nail tip Whitener, Barry M - Black, Color Club - 3in1, Small Striper Brush, Small Dotting Tool. 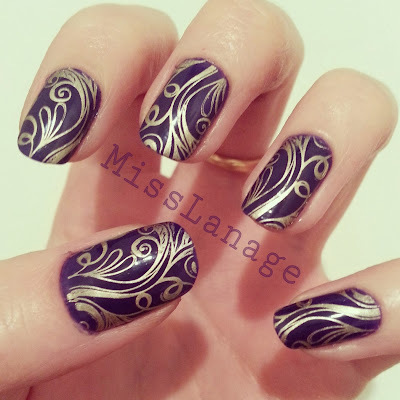 I did two coats of the lovely indie and then stamped the alternate designs using a metallic-ish, purple polish. Finished up with a topcoat and that's it! Loving this polish and the stamps!